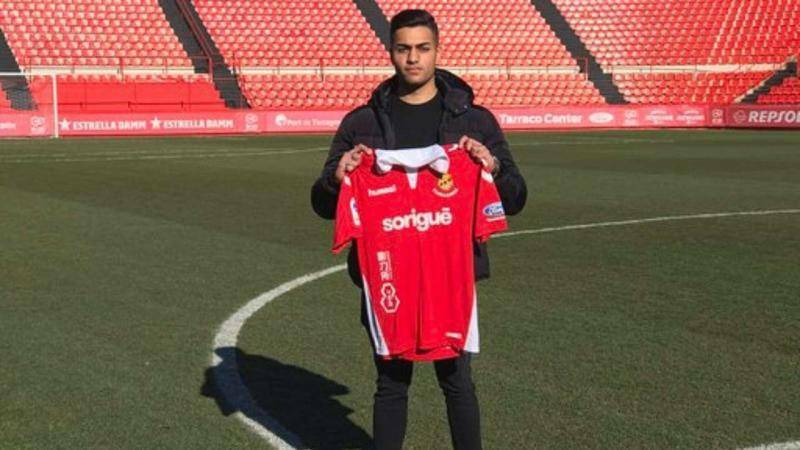 A little over two years after becoming the first Indian to sign a professional contract with a La Liga club, Ishan Pandita is all set to embark on a new journey after signing with Club Gimnastic de Tarragona. Pandita will be wearing the jersey number 32. Commonly known as Nastic, the club is the oldest football clubs in Spain with their history dating back to 1886. The 20-year-old has inked a short five months deal with the club, with both the player and club having the option of extending the contract. The striker will be playing with Nastic’s affiliate club CF Pobla de Mafumet, which is their farm team, playing in the Tercera Division – Group 5 in the beginning. Pandita said, “I had my first training session on Monday and I was with the U-23s. I am going to start with them, get some rhythm, maybe play few games and once I’m ready they will move me up to the first team”. Nastic will be the third Spanish club to be added on Pandita’s resume. He has earlier played for UD Almeria’s Under-18 team and Leganes. All was going well with the La Liga side but an injury disrupted his progress.